Home owners with wood siding enjoy the warm appeal of the wood siding on their home. Unfortunately, for most home owners with wood siding in Michigan that great look doesn’t come easy. In fact, wood siding is one type of siding that needs constant attention and maintenance to ensure it keeps it’s great looks. Having a siding contractor in Michigan install this type of siding can give you home an awesome look but there are some maintenance routines that you’ll have to keep which I’ll go over in this article. Although wood siding looks great it may not be the best choice of siding for your home. Most of the maintenance that has to be performed on this type of siding can be eliminated simply by installing a different type of siding. James Hardie siding or vinyl siding can give you a similar appearance as wood siding in Michigan but it’s much easier to maintain. 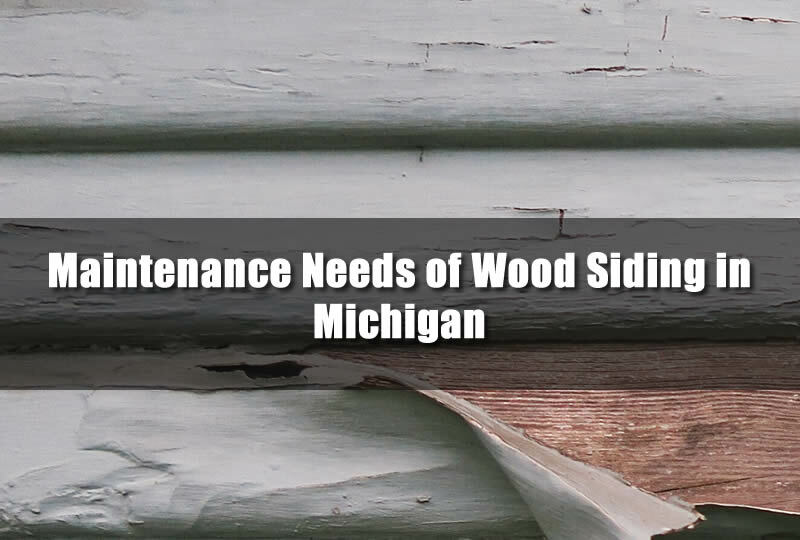 I’ll go over in more details below just how much maintenance is required for wood siding in Michigan. Wood siding that requires paint will always require paint for the life of the siding. So every few years it’s likely that you’ll need to scrape off old paint that is starting to peel away from the wood and then apply new paint. You’ll also need to apply primer and possibly water sealant as well. Although this can be a costly expense especially if you need to hire someone it can have a bit of an upside. You’re able to change the appearance of your home with each painting. This gives you a change to change the color if it doesn’t fit well. Although this can be a costly expense especially if you need to hire someone it can have a bit of an upside. You’re able to change the appearance of your home with each painting. This gives you a change to change the color if it doesn’t fit well. Wood is food for some insects and unless you want your home to turn into a buffet of sorts you’ll need to routinely treat the exterior of the home for termites and other bugs. Ants are also problematic when the siding reaches closer to the ground. Once termites or other insects start to make a home in the siding then it’s likely you’ll need to replace some siding in order to maintain structural integrity of the siding installation. Unlike vinyl siding or cement siding, wood siding can absorb moisture and store it. Properly maintaining the siding and sealing it can prevent this but it needs to be done annually especially in areas which see lots of moisture. Mold can grow in humid, moist areas that does not have good ventilation so you may have mold behind the siding and possibly in your walls of your home. One of the biggest problems with shrubs is they hold moisture and if they are in direct contact with the wood siding in Michigan then it will hold moisture to the siding giving it more of a chance to absorb it. Be sure to cut away shrubs from the siding. They can also stain the siding as well. Sometimes home owners will use high powered pressure washing to clean their homes. While this may be okay on siding such as vinyl or brick it can actually blast away the wood fiber on wooden siding. Along with blasting away the fibers of the wood it may also strip the wood of sealant that was applied. Which can be problematic especially since you’ll be using water. A great way to remove stains and clean the siding is with soap and water with a brush although it depends greatly on the type of siding you have on your home. As you can see getting wood siding installed and maintaining it can be troublesome and very time consuming. I love the look of wood but there are siding solutions that can make more sense. 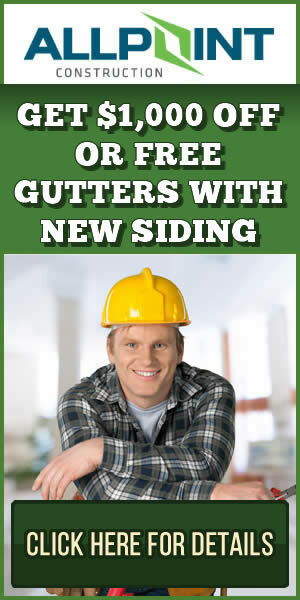 Talk with a siding contractor in Michigan to help you decide which siding is right for your home.